So, did you hear about this online shop before? Well, it is a new start up company in Seoul. 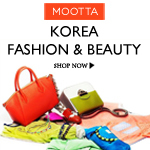 They provides the latest trends of fashion and beauty in South Korea to all customers in the world, wherever you are! They sells Korean beauty products that were recommended by the number one beauty show in Korea, Get It Beauty, and they are also labeled on the ranking of their products according to the show! Yeah beside Running Man, Get It Beauty is my favorite Korean show as well lol XD I really love Get It Beauty, especially their blind tests, you know! Let's explore their website now!! They ships worldwide and offers free shipping for orders over $50! Pssttt.. 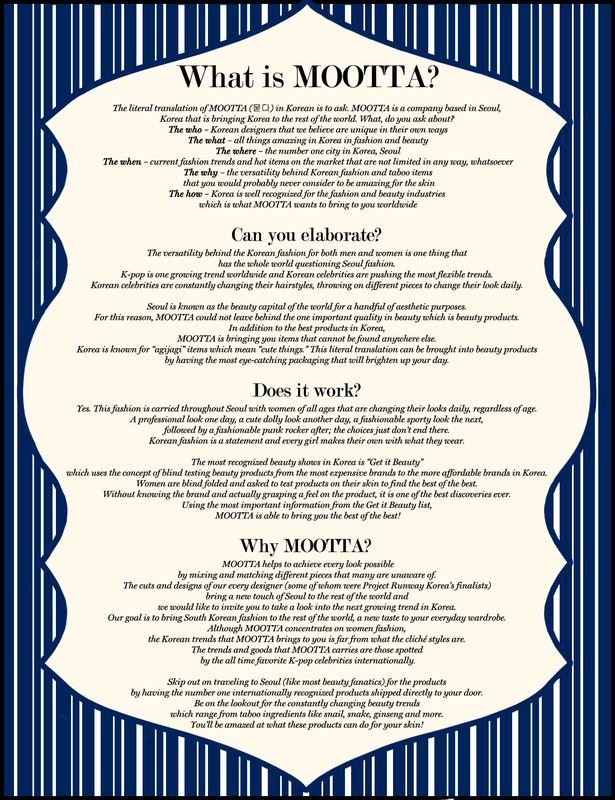 I will hold a new giveaway sponsored by MOOTTA next week! Oh really an interesting on line shop , thanks for sharing ^-^ !!! Now I´m following you in bloglovin´and GFC I hope your follow me back in both! Sure, I'll follow you back asap! this looks awesome <3 thanks for sharing!